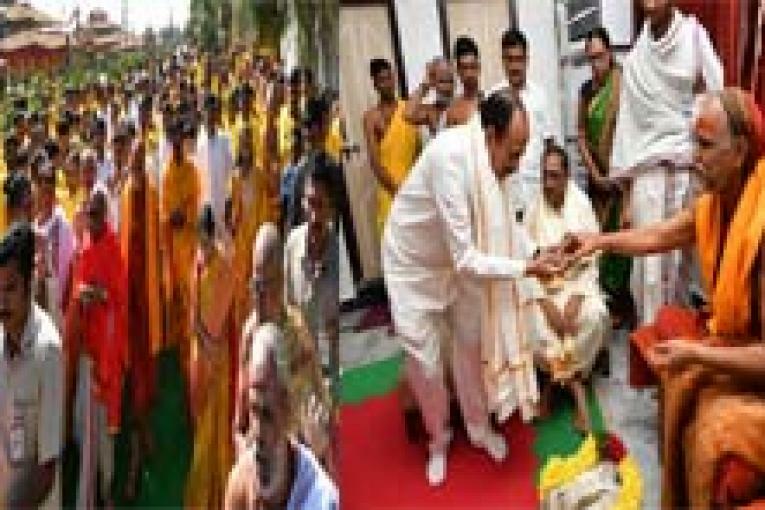 Hyderabad, Jan.21 (Maxim News): The five-day “Sahasra Chandi Yagam” started at the farm house of Chief Minister K Chandrashekar Rao in Yerravalli village under Siddipet District amidst Vedic chants on Monday morning. Under the stewardship of Swami Swaroopananda from Vizag Sharada Peetham and with blessings of Sri Jagadguru Sringeri Peetadhipati Bharathi Teertha Swamy, the Chief Minister, along with his wife Shobha, performed various rituals. On the occasion, several MPs, MLAs, MLCs, CM’s Family members participated in the holy program.